"The Creole Choir of Cuba has become the island's most celebrated export narrowly edging out cigars and rum. The music was almost operatically joyous…"
"There are full throated solos and passionate choral responses in Creole, creating a rich, ringing sonority which is sometimes defiant, sometimes soothing, but always thrilling." As part of the ¡Sí Cuba! 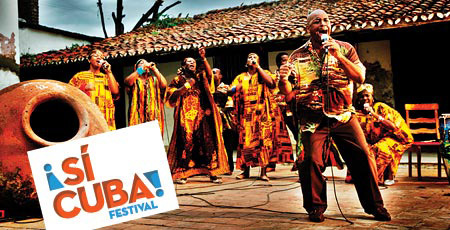 Festival, BAM will present the historic US premiere of the Creole Choir of Cuba. Comprised of descendants of Haitian migrants, the Grammy-nominated group resurrects the half-heard voices and unsung songs lost to the official soundtrack of a nation. Download the free mp3 "Chen Nan Ren" to hear something completely different and new from Cuba.